« Our own Board member, Dr. Arzubi, is changing Montana for good! *Cancellation Policy: Full refund (less $30 processing fee) if cancelled 72 hours prior to the conference. No refund after this deadline. In 2015, ChildWise Institute presented a critically important Summit based on the Adverse Childhood Experiences (ACE) Study. This is changing how systems of care respond to health problems in a more comprehensive manner; communities & schools across the nation are becoming ACE informed to promote better physical and mental health among children & adults. What is Resilience? Resilience is the process of adapting well in the face of adversity, trauma, tragedy, threats or significant sources of stress. Why is Resilience Important? Research shows the ability to use resiliency-building factors increases the likelihood that individuals will be able to reach their full potential, and mitigates the damaging effects that adverse childhood experiences can have over the lifespan. This 2-day Summit will accelerate your knowledge of practical resiliency-building strategies and actions to elevate the well-being of the children and families you serve and care for. Dr. Ken Ginsburg is a pediatrician specializing in Adolescent Medicine at The Children’s Hospital of Philadelphia and a Professor of Pediatrics at the University of Pennsylvania School of Medicine. He works to translate the best of what is known from research and practice into practical approaches parents, professionals and communities can use to build resilience. His research over the last two decades has focused on facilitating youth to develop their own solutions to social problems and to teach educators, clinicians, parents…everyone working with children how to better serve them. Dr. Ginsburg has more than 125 publications, including 34 original research articles, clinical practice articles, five books, a multimedia textbook for professionals, and internet-based and video/DVD productions for clinicians, parents and teens. Dr. Ginsburg has received over 30 awards recognizing his research, clinical skills, or advocacy efforts. These include The Young Investigator Award and a visiting professorship from The Society for Adolescent Health and Medicine, The Lindback Award for distinguished teaching from The University of Pennsylvania, and The Humanism in Medicine Award given to the Penn faculty member who “demonstrates the highest standards of compassion and empathy in the delivery of care to patients.” The theme that ties together his clinical practice, teaching, research and advocacy efforts is that of building on the strength of teenagers by fostering their internal resilience. He is currently The Associate Medical Editor of The American Academy of Pediatrics’ Parenting Web Page Healthychildren.org, a trusted web source for parents seeking guidance on effective parenting and healthy child and adolescent development. To advocate for parents’ critical role in raising resilient children and teens, he has appeared on CNN, NPR, The Today Show, Good Morning America, The CBS morning show, FOX and Friends and ABC, NBC, and CBS Nightly News programs. 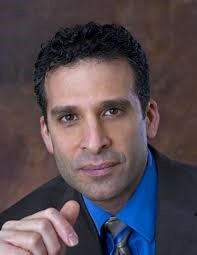 Dr. Ginsburg lectures widely to national and international parent and professional audiences. His most recent books are, “Building Resilience in Children and Teens: Giving Kids Roots and Wings,” and “Raising Kids to Thrive: Balancing Love with Expectations and Protection with Trust”, both published by The American Academy of Pediatrics (AAP) as well as “Letting Go with Love and Confidence,” published by Avery, Penguin Press. The AAP has also published a multimedia toolkit “Reaching Teens: Strength-Based Communication Strategies to Build Resilience and Support Healthy Adolescent Development” that offers up to 65 continuing education credits for youth serving professionals. Description: Christine Schultz and Brie Oliver are both nurses with tremendous passion for ensuring health care workers and their clients deliver and receive care with a trauma-informed lens. They also know that trauma effects providers and clients alike, and building resiliency must be central to the care we give and receive. Learn more about this in the break out session: Building Resiliency in Health Care workers. Increase your knowledge on how to build resiliency capacity for the families you work with and also in your own work place and personal life. Also, discover tools to assess for trauma, resiliency, and compassion fatigue and create strategies to increase safe, stable, and nurturing relationships and environments for families and family health and support providers. Faith Based Organizations: Rev. Chris Haughee, BA, MDiv., Chaplain, Intermountain; Elizabeth Kohlstaed, PhD Chief Clinical Officer, Intermountain; Kimberly Konkel, Associate Director for Health, HHS Center for Faith-based & Neighborhood Partnerships, Washington D.C. Description: Wondering how adversity in childhood has impacted the community your church or faith community ministers to? Looking for practical ideas for building resilience through faith-based approaches? Join Rev. Chris Haughee, chaplain for Intermountain Residential Services and Kimberly Konkel, Associate Director for Health at the HHS Center for Faith-based and Neighborhood Partnerships based in Washington D.C., in a breakout session that will be both informative and provide you with the tools to make a difference for struggling youth and families in your community. Dr. Liz Kohlstaedt, Chief Clinical Officer at Intermountain, will set the stage, framing the discussion to follow. For any ministry or faith-based group desiring to connect their ministry with the mission of building resilient communities, this breakout is a must! Offered twice in the morning hours of September 30th. 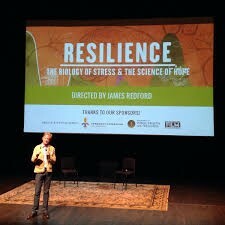 Description: What is resiliency and how does it look in American Indian communities? Often we tend to focus on the intergenerational transmission of trauma rather than the intergenerational transmission of trauma and resiliency. Maegan will present an hour-long presentation that focuses on a comprehensive review of the literature regarding resiliency factors for American Indian (AI) youth, their families, and community wide. And will discuss strategies toward changing AI youth perspectives about themselves, their families, and recognize strengths in our communities. This session have an interactive component where participants will gather in small group discussions to discuss a case study of an AI youth to recognize resiliency factors and what they might be able to encourage as they move forward with working with the youth. Description: Vicarious Traumatization, Secondary Traumatic Stress, Compassion Fatigue, Trauma Exposure Response – various terms are used to describe the cumulative transformative effect on professionals working with people, families, groups and communities that have experienced traumatic events. “When we refer to trauma exposure response, we are talking about the ways in which the world looks and feels like a different place to you as a result of your doing your work” (Van Dernoot Lipsky, 2009). Utilizing the framework of Trauma Stewardship, this workshop will explore the causes and signs of trauma exposure response and offer hands-on ideas for prevention, mitigation, and recovery. This session will have a reflective/ interactive component and participants will leave the training with a plan for further exploration of how they can address their own trauma exposure response personally, professionally, and organizationally. Description: Despite the growing attention to the needs of children exposed to violence, progress toward ameliorating adverse childhood experiences is slow, particularly in the juvenile and family court systems. Yet, judges and system stakeholders have the capacity to respond effectively to victims of trauma by creating a healing environment that promotes safety, agency, and resilience through meaningful pro-social connections. The National Council of Juvenile and Family Court Judges has conducted trauma assessments on 11 courts around the country in both urban and rural settings to learn more about practices that need to be changed and to develop recommendations on how to promote healing and resilience in the children, youth, and families who go through the court system. 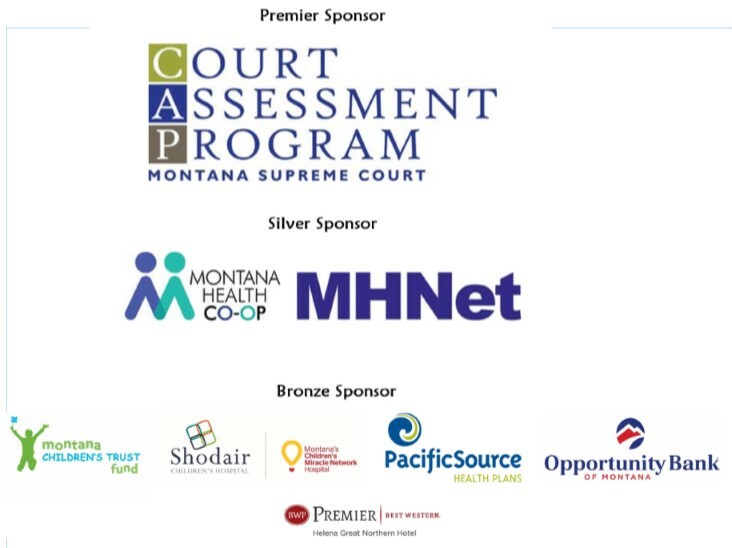 Participants will learn about the findings of these trauma assessments and be given recommendations on how to modify environments, policies, and practices in court systems to meet the needs of traumatized persons. Description: As educators, most of us have found ourselves making the statement or engaged in a conversation “student X is lazy” or, “student X doesn’t care”. We reach for our toolbox of strategies to re-engage the student only to find ourselves working harder than what the student seems to be working. Why does this happen and what can be done to remain patient and empathetic yet not lower academic standards and support our students through tough times? Stephanie Thennis, assistant principal at Helena High School (former principal at Helena’s alternative high school, Project for Alternative Learning) will share ways staff can help to develop resiliency in the lives of their students while maintaining high academic expectations. Strategies will also be provided on building resiliency in your own life. A documentary by James Redford and Karen Pritzker will be screened during the 2-day Summit. Researchers have recently discovered a dangerous biological syndrome caused by abuse and neglect during childhood. 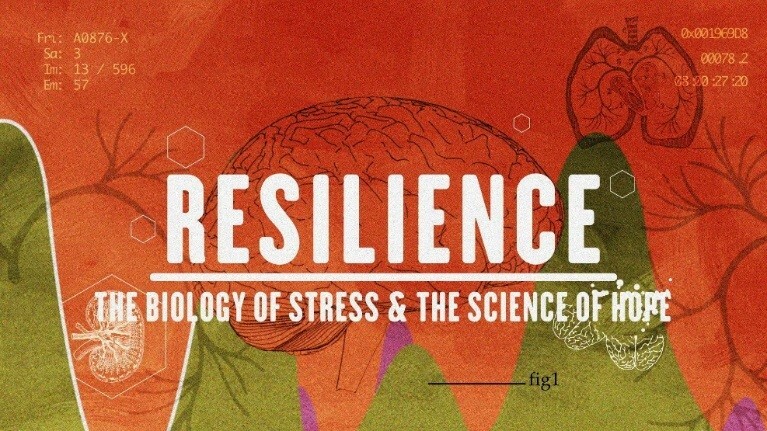 As the new documentary Resilience reveals, toxic stress can trigger hormones that wreak havoc on the brains and bodies of children, putting them at a greater risk for disease, homelessness, prison time, and early death. While the broader impacts of poverty worsen the risk, no segment of society is immune. Resilience, however, also chronicles the dawn of a movement that is determined to fight back. Trailblazers in pediatrics, education, and social welfare are using cutting-edge science and field-tested therapies to protect children from the insidious effects of toxic stress-and the dark legacy of a childhood that no child would choose. 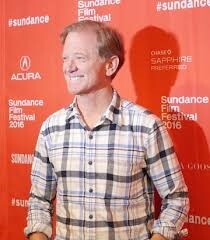 Jamie Redford has many documentary and feature filmmaking credits to his name. He started his collaboration with Karen Pritzker. He started his collaboration with Karen Pritzker on HBO’s The Big Picture: Rethinking Dyslexia, a film that gave hope to millions of families around the world who have struggled to educate their dyslexic children. From there, they turned their story-telling eye on the hidden menace of adverse childhood experiences. Paper Tigers, currently on the festival and screening circuit, will air on PIVOT TV near the end of 2015. James also co-founded and is current Chair of The Redford Center, a film production non-profit that translates complex environmental challenges into human stories that inspire. Recent honors include the 2014 WildCare Environmental Award, 2015 filmmaker envoy for USC/US State Department’s American Film Showcase as well as serving the leadership circle for the UN’s second annual Media for Social Impact Summit.